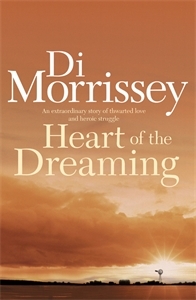 The book that launched Di Morrissey as Australia's most popular female novelist. Heart of the Dreaming is the bestselling prequel to Follow the Morning Star. At twenty-one, Queenie Hanlon has the world at her feet and the love of handsome bushman TR Hamilton. Beautiful, wealthy and intelligent she is the only daughter of Tingulla Station, the famed outback property in the wilds of western Queensland. At twenty-two, her life lies in ruins. A series of disasters has robbed her of everything she ever loved. Everything except Tingulla-her ancestral home and her spirit's Dreaming place. And now she is about to lose that too. An extraordinary story of thwarted love and heroic struggle, Heart of the Dreaming is the tale of one woman's courage and her determination to take on the world and win.